Clean, SO very besutiful. The renovated rooms are small but sufficient, and girgeous! Breakfast lacked protein and fruit, but they told me that once they finish the renovations, breakfast will be expanded. Where to find Roblin hotels near an airport? Where can I find hotels in Roblin that are near tourist attractions? Hotel options are limited within Roblin. You will find, however, 3 Expedia-listed options within an easy driving distance. 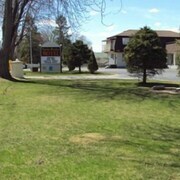 The Hampton Inn By Hilton Napanee, Ontario, which is the closest hotel, is 16 kilometres (10 miles) from downtown Roblin. Another convenient option is the Royal Napanee Inn, which is in Ontario, 16 kilometres (10 miles) from the center of Roblin. You could investigate the Bayview Inn or the Fifth Lake Cottages. The Bayview Inn is positioned 20 kilometres (13 miles) away from the middle of Roblin. The Fifth Lake Cottages, is positioned 30 kilometres (18 miles) away. 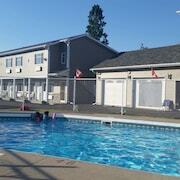 Another possibility is to check out the amenities and rates at the Red Door Inn or the Twin Peaks Motel. The wider Ottawa - Southeastern Ontario area is definitely well worth visiting too. Nature lovers will love Ottawa - Southeastern Ontario's forests. In addition, you should spend time at a selection of its old towns. In this part of Canada travelers may also try their hand at cross-country skiing and snow shoeing. Picton is 50 kilometres (31 miles) to the south of Roblin and is where you'll find Sandbanks Provincial Park and Picton Golf and Country Club. The The Waring House and Sandbanks Summer Village Cottages are just some of the Expedia-recommended apartment and hotel alternatives in Picton. 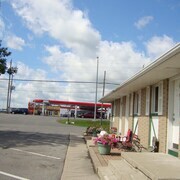 100 kilometres (62 miles) to the northeast of Roblin, is Smiths Falls, home to the Econo Lodge and Best Western Colonel By Inn. The Heritage House Museum and Rideau Canal Museum are just a couple of the more popular attractions to experience for those visiting Smiths Falls. Before you say goodbye to Ottawa - Southeastern Ontario, make sure you experience some local sport. Visit Yardmen Arena to the southwest of Roblin. 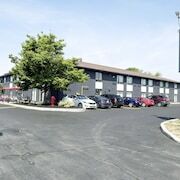 For tourists who are keen on sleeping close by, make a reservation in the Fairfield Inn & Suites by Marriott Belleville or Best Western Belleville. Situated 40 kilometres (26 miles) from Roblin is Norman Rogers Airport. 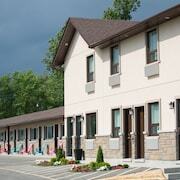 Stay nearby at Travelodge Kingston LaSalle Hotel or Bayside Inn & Waterfront Suites. 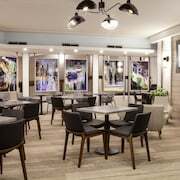 What are the most popular Roblin hotels? Are there hotels in other cities near Roblin? What other types of accommodations are available in Roblin? 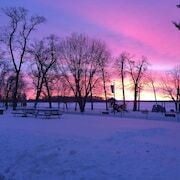 Explore Roblin with Expedia.ca’s Travel Guides to find the best flights, cars, holiday packages and more!